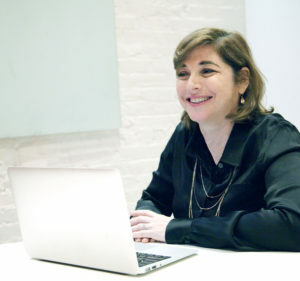 EVE BIRNBAUM ASSOCIATES (EBA) works with professionals from a wide range of industries through all stages of your career advancement and any transitions in your career path. From her in-depth experience in coaching lawyers and other professionals, Eve is an expert on helping you reach your potential and find a satisfying career. Whether your goal is to advance at your current employment, or to search for a new job, or even a new career, we work with you assess your goals and progress quickly through a customized plan. Eve has successfully coached dozens of professionals, including bankers, accountants, hi-tech and marketing managers, and corporate executives. When I engaged Eve, I was unclear how my unique hi tech experience as both a developer and an entrepreneur would translate to the right position at at top tech firm. Eve offered me guidance and insight in helping me assess my skills, identify my options, and navigate the search process – from networking, interviewing and finally negotiating my offer – all within a timeframe of several weeks. She was very accessible to me throughout the process and understood my unique situation. Her advice and judgment were consistently spot-on. I highly recommend. When I met with Eve, I was a recent university undergraduate and unclear about my career goals. I had an economics degree, but little idea of how my skills and previous experiences could translate into the workplace. It didn’t help that all my friends were on the fast track to careers with large corporations. In one session, Eve helped me see that I did have something special to offer an employer, she helped me target my job search, industry and most importantly, she gave me the confidence to speak about myself clearly and positively. Eve Birnbaum Associates will work with you to create a personalized job search action plan tailored to your specific targets. We will work with you to identify key contacts and opportunities, as well as a timeline of practical and concrete action steps for you to move forward expeditiously. Eve and her team have coached professionals at all levels and worked closely with them through the entire process of finding, applying, interviewing, negotiating offers and moving into new jobs and even new careers. I came to Eve at at time when I left a 36 year career in school psychology to go out on my own and start a new professional chapter. In just a few sessions, Eve helped me figure out how to apply my skills to my new endeavor, to recognize opportunities that were available to me, and to package myself to optimize my new career options. Working with Eve gave me an immediate boost in confidence, and her can-do approach and practical advice propelled me forward to achieve my goals much more quickly than I had anticipated. I highly recommend Eve – no matter what field you are in.